Brooklyn, NY - It could be a postcard for Brooklyn’s hip resurgence: a shimmering new building of modern apartments renting for $5,000 a month, a gourmet grocery with a rooftop greenhouse, and a funky barbecue joint with drinks flowing on the outdoor deck. Except all of it overlooks the Gowanus Canal, a murky, smelly Superfund site choked with raw sewage and an iridescent sheen of oil, PCBs, coal tar and other industrial wastes. It could take more than a decade to clean it up, but for now people seem willing to overlook some of the worst of old Brooklyn to be a part of the new Brooklyn. “We’re really thrilled that it’s being cleaned up, but even as it is now we enjoy walking around it,” said Alyssa Hoyt, who moved into the 12-story apartment building with her husband two months ago. At Pig Beach, the barbecue joint with picnic tables and a summery vibe, a good crowd of young families rubs shoulders with the after-work singles crowd. Such reactions have belied predictions six years ago that the federal Superfund designation would turn the area into a development dead zone. Sure enough, when the canal was declared a Superfund site in 2010, developer Toll Brothers abandoned plans for two condo towers on its banks. 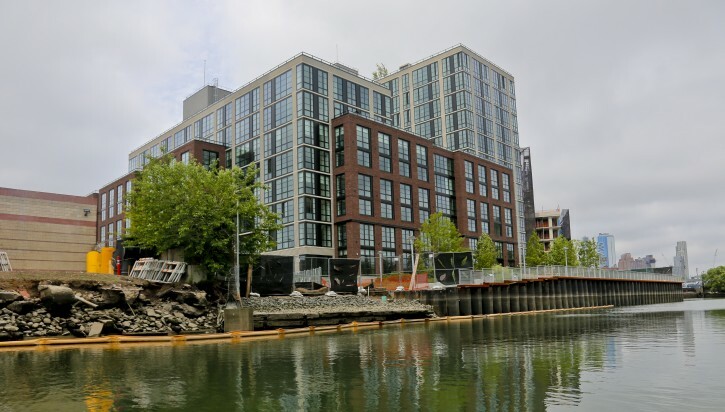 But a new developer, Lightstone, acquired the parcels, recast the project as a rental development and opened the first building to tenants this past spring even as the city and the federal Environmental Protection Agency signed off on a multi-year cleanup plan. A second building is now under construction. Monthly rents at the new building start in the low $3,000s for a one-bedroom apartment and the low $5,000s for a two-bedroom, and amenities include valet parking, rooftop lounges and a spin exercise studio. 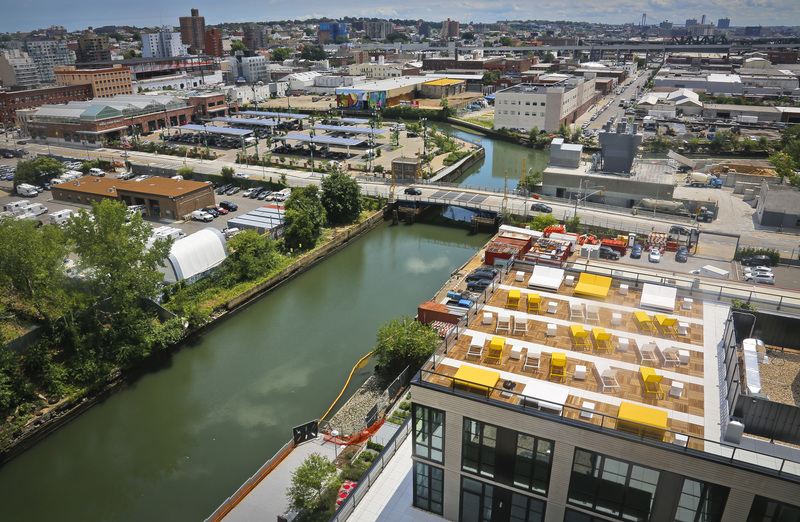 Gowanus is seen as one of the last frontiers in Brooklyn’s well-documented resurgence, which has seen the average sale price of a home rise from $559,000 in 2006 to $809,000 in 2016. While neighborhoods such as Brooklyn Heights, Park Slope and Williamsburg have seen luxury development and Manhattan-like rents for years, investors are increasingly turning to grittier neighborhoods, such as Gowanus, which previously had been known mostly for manufacturing, auto body shops and warehouses. The canal, built in the 1850s, quickly became a dumping ground for industries along its banks, including tanneries, garbage facilities, and three plants that used coal to make the gas that powered street lights and home heating systems. Walter Mugdan, the EPA’s Superfund division regional director, said the agency has identified dozens of polluters that own the legacy cleanup liability. Work on that cleanup will begin in 2017 or 2018 and should be completed in eight or 10 years at a cost of more than half a billion dollars. 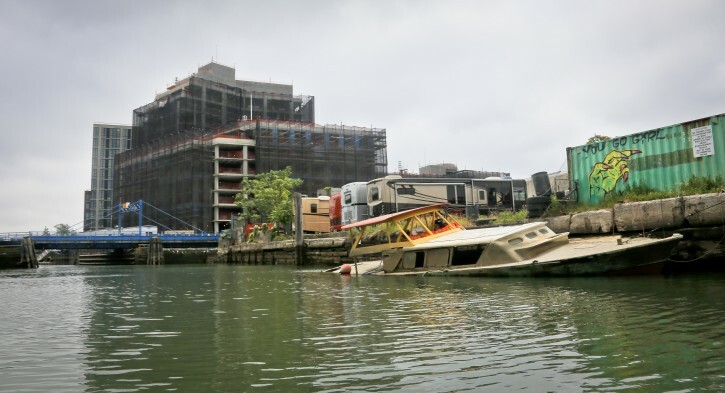 While plans are still in the design phase, the cleanup will involve dredging a 10-foot-thick layer of gooey sludge from the Gowanus and capping the canal bed with a clay-like layer. Sewage would be captured in overflow tanks and be pumped to solid waste treatment plants. Urban legend has it that the canal’s debris may also include remnants of Brooklyn’s criminal past, as well. 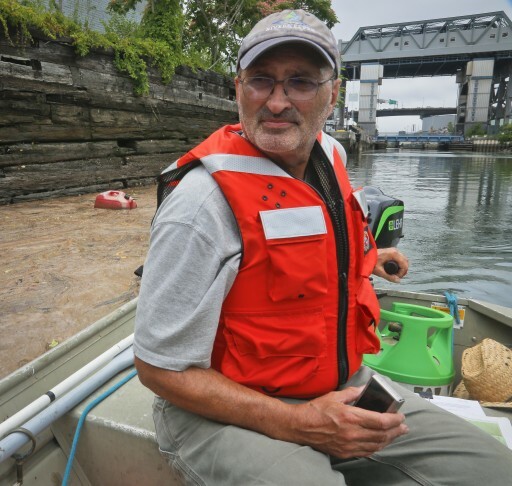 Frank Orefice, a lifelong resident who sells refreshments to workers from the still-under-construction Lightstone building, said the canal was much worse in his childhood. Pollution is a very real issue. We must stop the pollution. How can I invest in sloan or the mayo clinic and get these rich residents to commit to those rich cancer hospitals.